Greenlight works with publishers to bring authors to speak at schools, and handle sales of the author’s book to students. Many award-winning children’s authors are local to Brooklyn or come through on book tour, and there is no better way to get kids excited about books than through a live presentation with an author! Read on for more information, and use the link below to inquire about hosting an author at your school. Q. Can any school arrange an author visit through Greenlight? Yes! We’re glad to work with any school and age group. We offer two versions of our author visit program: one for schools that opt to organize a book fair through Greenlight and one for schools that do not. (For more information on our book fair program, see our Book Fair FAQ.) Please see below for further information about each model. Q. 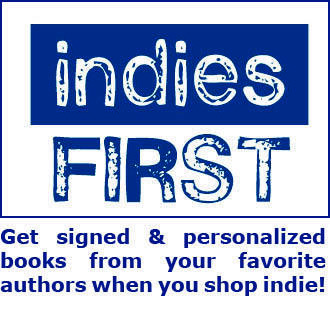 We are planning to schedule a book fair through Greenlight or have already done so. How will author visits work if our school also has a Greenlight book fair? If your school schedules a Greenlight book fair, your will then have the option of booking up to three author visits with us during the same school year as your book fair. We ask your school to purchase one copy of the author’s featured book to use in preparing students, but otherwise there is no purchase requirement for these visits. Q. I’m interested in booking a visit! How do I get started? A. Email our school partnerships manager using the link at the bottom of this page to express your interest. If you have specific requests for certain grades/ages, categories of books or authors, visit dates, or other details, you can include that information as well. Q. Is there a fee associated with hosting a school author visit? A. Author visits organized through Greenlight never include a fee or honorarium. Q. What kinds of authors visit schools through Greenlight? A. We work with all kinds of authors and illustrators for our school visit program. Sometimes they live locally, and other times they’re passing through New York on tours for their new books. In previous school years, we’ve coordinated visits with a variety of wonderful authors and illustrators including Selina Alko, Kelly Barnhill, Jon Klassen, George O’Connor, and Kate Schatz and Miriam Stahl. Q. How far out should we book an author visit? A. We book author visits about two months in advance, and we try to schedule even further ahead of time when possible. If there is a specific date or time frame when you’d like to have a visit, it’s best to let us know as early as you can. Q. Can we request a specific author? A. Authors’ availability varies, so we can’t guarantee that we’ll be able to book your school a visit with a specific author. However, we always want to hear your ideas for who you’d like to have visit! We have a wide network of publishing and author partners and do our best to fulfill your requests whenever possible. Q. One of our student’s parents is an author. Can we organize an author visit with them? A. Yes, we’re glad to work on visits for an author who is a parent, employee, or friend of your school. Please contact us for more details on this process. Q. What is the best way to prepare the students for an author visit? A. We ask that the school do its best to make sure that students are excited and prepared for a visit. To that end, the purchase of one copy of the author’s featured book is required at the time of visit confirmation, so that schools can use that copy to prepare students. We also offer schools the chance to purchase additional books for their classroom libraries ahead of time, and if this is your first time working with Greenlight, we can provide a visit to students by one of our knowledgeable booksellers to tell them more the author and his or her books. When possible, we encourage schools to prepare lesson plans or other classroom activities around the books featured at visits, and we can sometimes provide lesson planning resources for teachers. Q. Can students pre-order the author’s books before the day of the visit? What about buying books at the visit? A. Yes! We create customized order forms for each visit. The school is responsible for distributing and collecting the forms, collecting payment for pre-ordered books, and then paying Greenlight for all books ordered by students. On the day of the visit, we’ll bring all of the pre-ordered books and facilitate having them signed and personalized by the author. We can also have a limited number of copies available for last-minute purchases on the day of the visit, but we encourage schools and students to use pre-orders as much as possible. We can make exceptions to this ordering procedure on a case-by-case basis if a school is interested in making a bulk purchase of books to distribute to students in lieu of coordinating student orders. Q. Can students pre-order books online? A. Yes, we can create a dedicated web ordering page for your school’s visit. (Click here for an example.) All books purchased via web order will be delivered to the school, signed, and personalized by the author on the day of the visit. Q. The school is tax-exempt. Will the students’ orders be taxed? A. Pre-ordered books are not taxed for tax-exempt schools, since the school is collecting the payment. Web orders are always taxed, since Greenlight is collecting payment directly from customers for those orders. Q. How many students should we have at one presentation? Do visits usually happen in a classroom, or would we need to hold it in our auditorium? A. We can tailor a visit to fit your school’s needs and resources. Some of our visits are for a single class in a classroom, others might gather several classes together in the library, and the biggest visits take place in the school’s auditorium with one or more entire grades present. Q. What should we expect on the day of the author visit? A. A Greenlight bookseller will be present on the day of visit to help prepare for the presentation, facilitate the book signing, and assist with any additional details. Authors will sometimes ask the school to have a simple set-up ready for the presentation, such as an easel and drawing supplies or A/V for a PowerPoint presentation. Greenlight will communicate these requests to the school well ahead of time. At most visits, the author or illustrator will read some of the featured book, present an interactive presentation about the book and/or creative process, and then take questions from students. Exact formats vary from author to author, but they’re always a lot of fun! After the presentation, the author will sign and personalize books for students. Q. We would like to schedule an author visit but are not interested in scheduling a book fair as well. How will our author visit process work? A. If your school does not schedule a book fair, we are still glad to organize author visits with you. Using this model, each visit will require a minimum purchase of 20 copies of the visiting author’s featured book. A. Author visits organized through Greenlight never include a fee or honorarium. For stand-alone visits, schools are required to purchase at least 20 copies of the visiting author’s featured book. A. For stand-alone visits, Greenlight does not coordinate pre-orders or day-of book sales. That said, the school is encouraged to manage student pre-orders internally and purchase pre-ordered books through Greenlight. We are glad to ship as many copies as you need directly to the school in advance of the visit, though we need to know the total number of books ordered no less than two weeks in advance of the visit. A. We are not able to provide web orders for stand-alone visits. A. As long as the school provides Greenlight with proof of its tax-exempt status, books purchased by the school will not be taxed. A. Authors will sometimes ask the school to have a simple set-up ready for the presentation, such as an easel and drawing supplies or A/V for a PowerPoint presentation. Greenlight will communicate these requests to the school well ahead of time and connect the author with a point person at the school to manage these details. At most visits, the author or illustrator will read some of the featured book, present an interactive presentation about the book and/or creative process, and then take questions from students. Exact formats vary from author to author, but they’re always a lot of fun! After the presentation, the author will sign and personalize books for students.